AFFORDABLE WILDLIFE REMOVAL CAN DISINFECT, SANITIZE, AND DEODORIZE ROOMS, BUILDINGS, AND ATTICS. 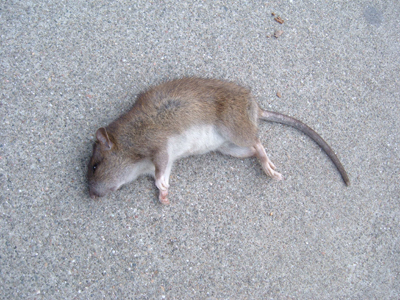 Rats/mice will leave feces and urine thoughout insulation or nesting areas. It produces terrible scents, and the diseases carried can cause health risks to those residing or visiting the effected area. Guano (feces) from bats is extremely dangerous. The disease they carry, histoplasmosis, can release fungal spores into the air, endangering any inhabitants of the infested establishment, and can lead to chronic illness and even death. The main concern after animal removal is also removing the potential disease out of the air of the home or building. Opossums will urinate and leave feces everywhere. The main concern when opossums have intruded are the health issues that they can create. Leptospirosis can symptoms including headaches, muscle pains, and fevers; to severe issues of bleeding from the lungs or meningitis. Odor control and deodorizing an establishment will always be offered when removing animals that cause potential health risks. Once a dead animal is removed, it does not guarantee that the scent will go with it. Unfortunately, the scents of a dead animal often alert a wildlife expert of possible health risks to the inhabitants of the building. Dead animals often breed bacteria and mold, and any ecto-parasites that were living on the animal will also seek a new host. Once we remove any carcasses Affordable Wildlife can deodorize to reduce and eliminate the scent. Birds will nest and defecate throughout their roost- which is extremely dangerous; their feces can cause chronic illness and even death. Ducks will urinate and defecate everywhere, causing the risk of respiratory issues to rise. It is important to rid the air of all potential risks and diseases.